Don’t Show Off- you have to leave some items outside your home, but that doesn’t mean you need to show them off and keep them in view for invaders. Keep all expensive items and decorations tucked away in a storage space until you need them. 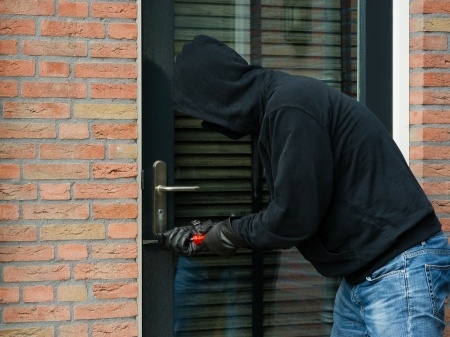 Be home at all times- Not literally, but you can trick burglars into thinking you are home. Leave a light or TV on so a burglar believes someone is home. You can also install motion lights in case they try to get in they may trip a light and think someone is watching them. Secure Sliding Doors and Windows- this may seem simple but it is something people often forget because they already look closed. Don’t Leave a Spare Key- All burglars know where to look for those hidden rocks and hidden boxes. So you are not fooling anyone and they will find a way in. Take care of your yard- If you have overgrown shrubs or bushes burglars know exactly how to use that to their advantage. You should also secure your yards with locking gates to deter unwanted guests. Prepare for Vacation- When you leave your house still received mail and packages and you can tell if nobody is there. This is high time for burglaries. Make sure you have someone coming by daily to check on your house and gather mail. Know your Neighbors- Make sure your neighbors know who you are. If they know you they are more likely to watch out for your things because you will watch things for them. Keep Informed- Know about what is going on around your home. Check the newspaper often for other burglaries so you know where these criminals may be or where they may be going. Lock Up- This seems elementary but many break-ins happen without force. Meaning they find an open window or door and walk right it. So lock your doors! Resist the urge post on Social Media where you are! This cannot be stressed enough. Some burglars are people you know and thought you could trust. They are your Facebook or Twitter friend and see you checked in at the roller rink. Now they know they have a whole hour to try and break in to your house!